Located in downtown Rensselaer, The Willow Switch™ is the place to go for a unique selection of home decor, gifts, and the best coffee in town! Come see our collection of unique designs by artisans in the area: quilts, candles, framed prints, jewelry, and other items. Sit, sip and enjoy! The Willow Switch Coffee Shop & Bar serves coffee, tea, chai, smoothies, and other temptations. Sit and visit or take it on the go! 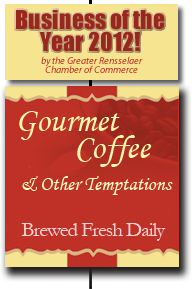 We offer a variety of gourmet blends and flavors for everyone's tastes. Can be purchased by the bag. Seating available in lower level or loft to sit and relax. SPRING INTO SAVINGS during our Spring Open House March 7-8-9! Crack Open an Egg to reveal your secret savings. Find the Golden Egg hidden in the store and enter to win a gift basket filled with Willow Switch goodies. At the Willow Switch™, we have the best rugs on Earth... as natural as walking on grass™. 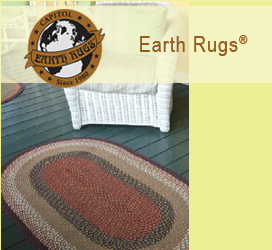 Braided rugs in an assortment of colors and sizes. 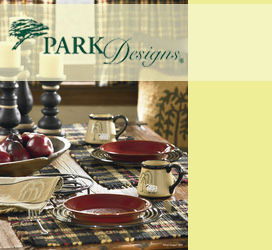 See our collection of Park Designs - style, uniqueness and exciting designs that change with the seasons. Window treatments, table linens, and curtains. © Willow Switch 2011-16. All rights reserved. Designed by markQuest Creative Services.